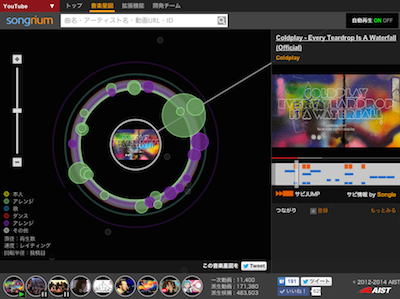 Visualizes VOCALOID original songs in a two-dimensional space like a starlit sky. 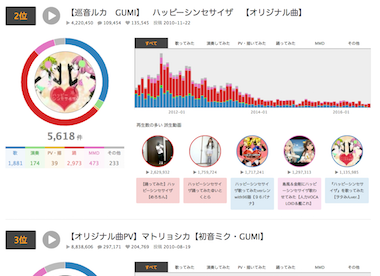 See the entire history of videos and their categories on Niconico with a bubble animation. Visualizes derivative works "Singing a VOCALOID song" based on the measurement of male and female singing voice characteristics. Visualizes the history of a VOCALOID song with a bubble animation. 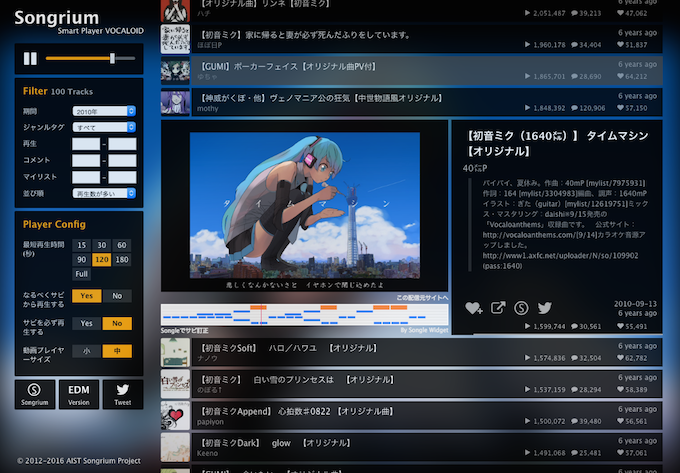 In addition to VOCALOID songs on Niconico, Songrium also supports music videos from YouTube. 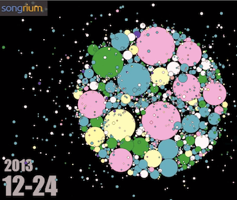 Songrium is a music browsing assistance service based on visualization of music relations. Songrium cultivates a deeper understanding of songs and their musical relations, and facilitates an expressive interpretation of music.